Born in Lefkoşa, Oya Tuncalı is a 1984 Honours graduate of Business Administration from the Middle East Technical University. She began her career working at the Political Affairs Department as a Third Secretary in the Ministry of Foreign Affairs. Later on, she also worked in the Departments of Protocol; Social and Cultural Affairs; and Consular Affairs. In 1987 she attended a month long course titled “International Relations and Diplomacy” specifically aimed for young diplomats, held at the Diplomacy Academy of the Ministry of Foreign Affairs of the Republic of Turkey. Between the years of 1988 and 1990 she was in charge of the Turkish Cypriots Living Abroad Desk. In 1990, she successfully completed a two-month long work period at the Cyprus Desk of the Ministry of Foreign Affairs of the Republic of Turkey in Ankara. In 1994 she graduated from the Eastern Mediterranean University with a degree of Master of Business Administration. Between 1994-98 and 2002-03 she taught various courses such as “Organisational Behaviour”, “International Trade Relations”, “Marketing Management” and “Principles of Management” at the Near East University on a part time basis. In 1998 she became a Deputy Director/Consul General. On the 1st of August 1998, she was appointed by the Ministry of Foreign Affairs, to the Turkish Republic of Northern Cyprus London Representative Office as the first woman Consul General of her country. After returning to the Ministry of Foreign Affairs on September 1, 2001, she worked at the Department of Consular Affairs. In 2004, she was actively involved in the United Nations’ technical committee during the Annan Plan negotiation process. Between 2005 and 2010, she was the Consul General at the TRNC Mersin Consulate. She returned to the Ministry of Foreign Affairs in August 2010 as the Director of the Department of Consular Affairs. 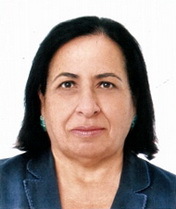 Mrs. Tuncalı held post as the TRNC London Ambassador between 2012 and 2016, and was the Director of Economic, Cultural and Social Affairs following her return to the Ministry between the years of 2016 and 2018. She has recently been appointed as the TRNC London Ambassador once again, from the 1st of September 2018. Oya Tuncalı is married and has two children and a grandchild.